. 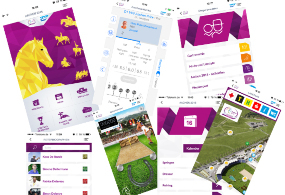 :: AACHEN 2015 MOBILE APPLICATION NOW AVAILABLE ::. From now on, the popular "Public Judging" function for the dressage and vaulting competitions is available. Using the judging app, the visitors can assess the individual exercises in the stadium using an extremely convenient system in real-time. Furthermore, the over 230 exhibitors in the Village can be assessed per app using the familiar 5-star system. An integrated medals table always shows the current placing of the respective nations. 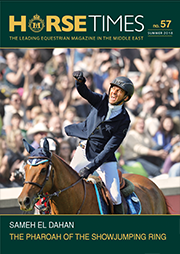 Eventing fans can look forward to a special new perspective of the cross-country competition. In collaboration with NetAachen, the Aachen-Laurensberger Rennverein e. V. and SAP are launching a hitherto unique pilot project: Data from the current cross-country competition is to be displayed in real-time via the so-called "tracking" function. The cross-country course can also be experienced virtually prior to the competition. Photos and texts illustrate the individual obstacles.